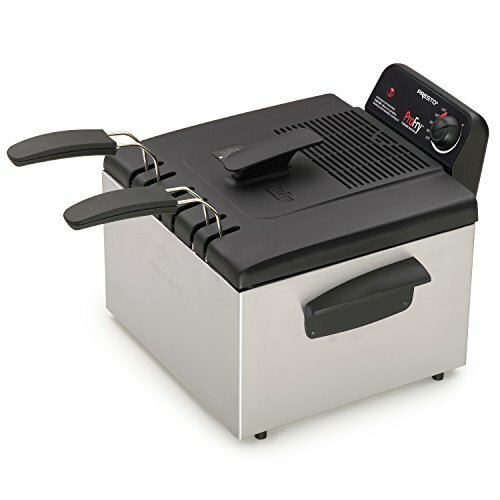 Up your fry game to pro status with the Presto 05466 Dual ProFry Immersion Element Deep Fryer. 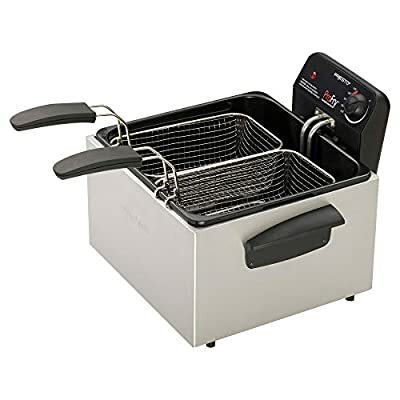 This fryer has two baskets with a total of 12 cups capacity so you can feed your family in a flash. A digital control and display with adjustable thermostat and countdown timer are there for customized settings. 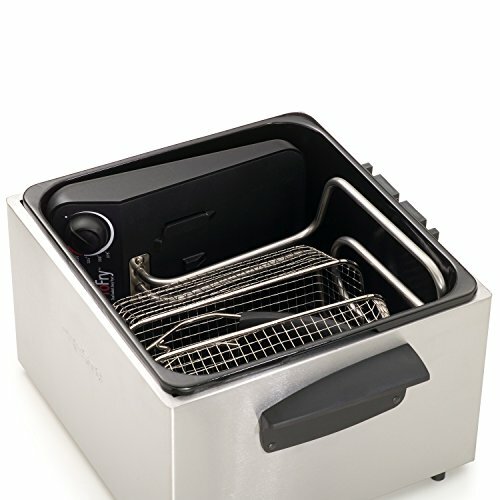 The 1watt immersion element preheats and reheats quickly. The stainless steel housing looks good in your kitchen. Features oblong-shaped baskets. Adjustable thermostat with signal light indicator. Heating element and enameled pot removes for easy cleaning. 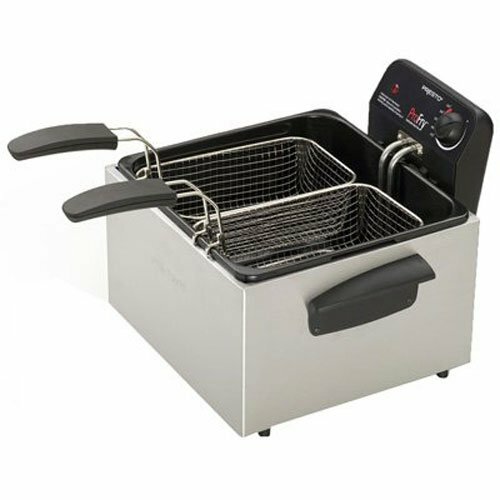 Ideal for frying large pieces of chicken or fish. Dimensions: 15L x 16W x 11H inches.